My kids are constantly amazing me. As a parent you always wonder if you are raising them to be respectable little beings when they go out into the world. Last week my kids started yet another week of soccer camp followed by Apple camp in the afternoon. Yet another week of fitting in patients and paperwork, while I make sure my kids have all I didn’t growing up, especially, summer fun. After the first morning session of soccer camp, I picked up my kids, exhausted, and heated from 3 hours of play in the sun. My kids and their friend are always last because 1: they are discussing how to wrangle a play date, and 2: they just plain old enjoy each other’s company. 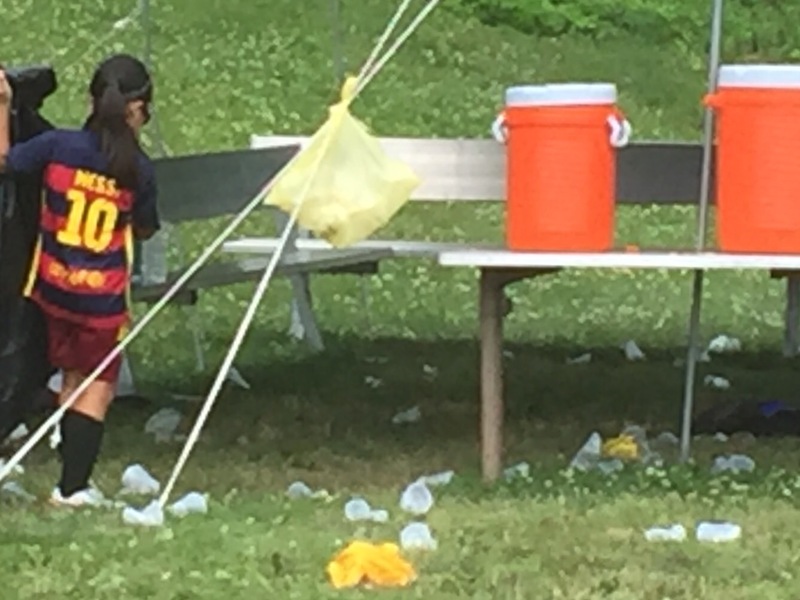 When my friend and I got to the area where the kids keep their belongings, we were greeted by plastic cups all over the floor from the water breaks. My friend and I cringed and reminded the kids the scout phrase “leave no trace”. These kids went over and picked up each cup they had no part in leaving without so much as a complaint or a sigh (they bring refillable water bottles). At that very moment, my hectic day melted away. I totally did something right.